When visiting Montenegro, our plan had been just to rely on public transport. However after the bus from Dubrovnik to Kotor took so long, we missed our transfer bus up the North of Montenegro. As a result, we frantically did a Google search to find a car hire company who would let us rent a car at just an hours notice, and luckily for us one did. 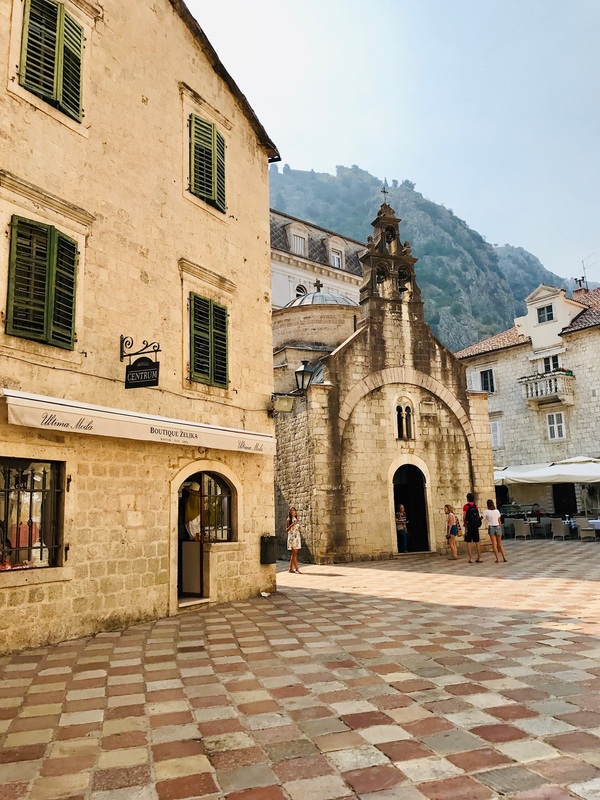 After arriving at Kotor bus station we were pretty hot and fed up after a supposed 1 hour 50 minute bus journey from Dubrovnik to Kotor turned out to be over 7 hours… Thankfully for us, M Cars met us at the bus stations with a Citroen, and we headed straight off to Zabljak. We quickly discovered that Montengro has stunning scenery, which led to plenty of stops along the way for photos. 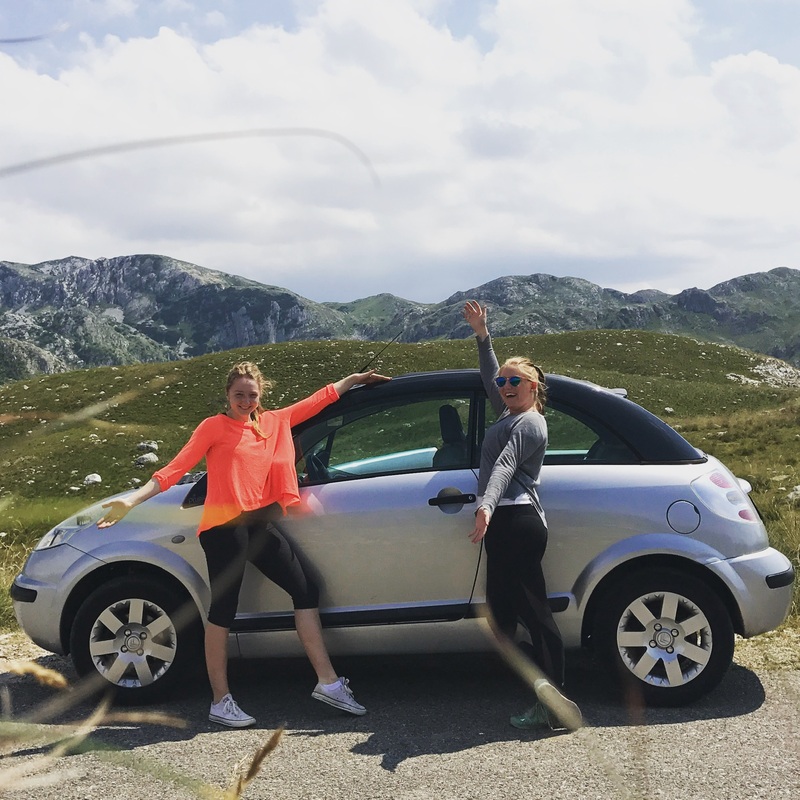 We arrived in Zabljak after dark and after a warm welcome from our Airbnb host with a plate of homemade cakes, we headed out to find some dinner. Zabljak’s restaurants and bars are full of people in hiking gear which reflects the outdoor pursuits area that it is, with skiing being on the cards in the winter months. Even though we visited in July, a coat was needed, as after an increase in altitude, a big temperature drop ensued. In Kotor just three hours earlier it was over 30 degrees, and in Zabljak it was struggling to get over 10 degrees. One obvious difference (besides the temperature) from Dubrovnik, was the price of the food. Dubrovnik’s restaurants commanded high prices, and in contrast Zabljak’s restaurants were extremely cheap, with the portions enormous. Being away from the coast, fish was off the menu , and was replaced with much heartier meat and potato dishes. The following morning we headed off the Durmitor National Park. The scenery was breath taking, however little time was spent admiring it as narrow hair pin bends had be navigated, at serious heights with no barriers. If you’re after an adrenaline pumping drive, you can’t beat this one. We were heading to the other side of the park to go horse riding which had bene arranged prior to our departure from England. Upon arrival it was clear that this particular horse ride would not be meeting any safety requirements that we were used to. We had to request helmets as they were not given, and after a hunt around, our guide came up with some rafting helmets. Off we trotted! We trekked up a mountain which offered stunning panoramic views, and then it all went downhill from there. Literally. 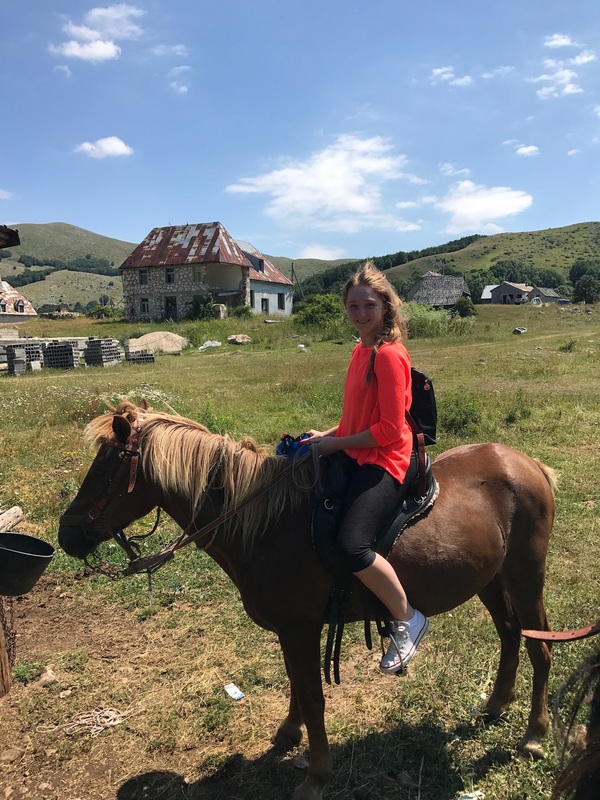 Our guide spoke little/no English, and he decided that rather than a having a gentle walk back down the mountain, that we would gallop instead. 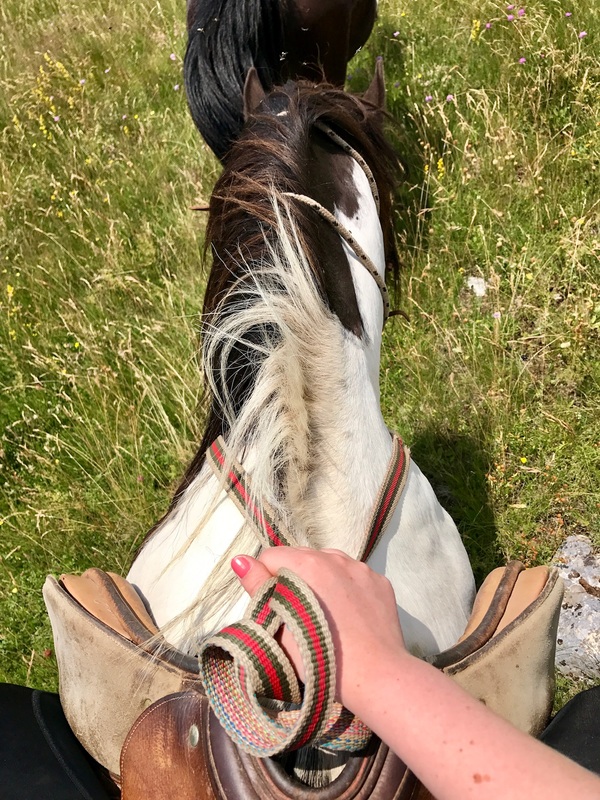 All of a sudden, his horse took off, as did ours and before you know it we were hurtling down the rocky mountain side, feet floppin gout of the stirrups and gripping on with wvery muscle we had. Perhaps not the best way to introduce us to the world of galloping! After this near death experience, we headed back to Zabljak for a more sedentary afternoon. 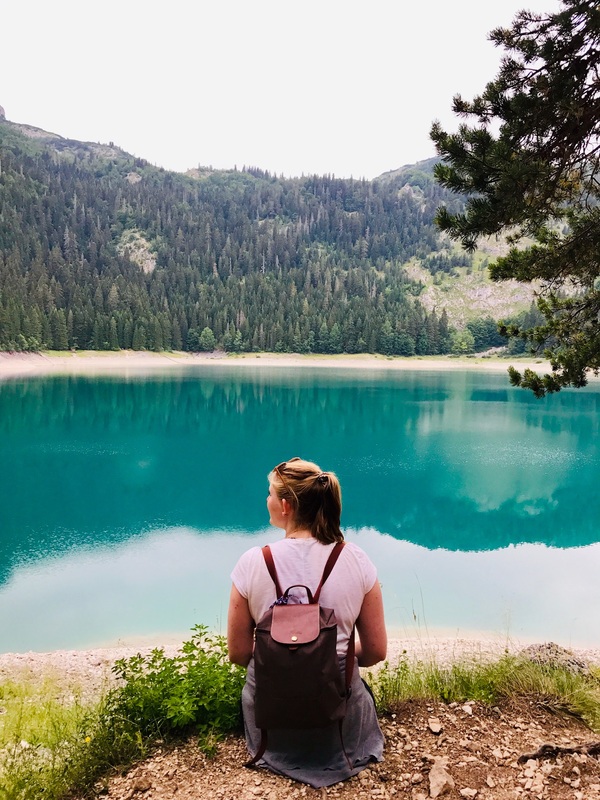 We grabbed our rucksacks and headed off to the Durmitor National Park lakes. This is a great way to spend the afternoon and there are a number of trails around the Black Lake so you can take your pick depending on the time you have to spare. Photos don’t capture the beauty of the lake, it is so turquoise that it doesn’t look real. 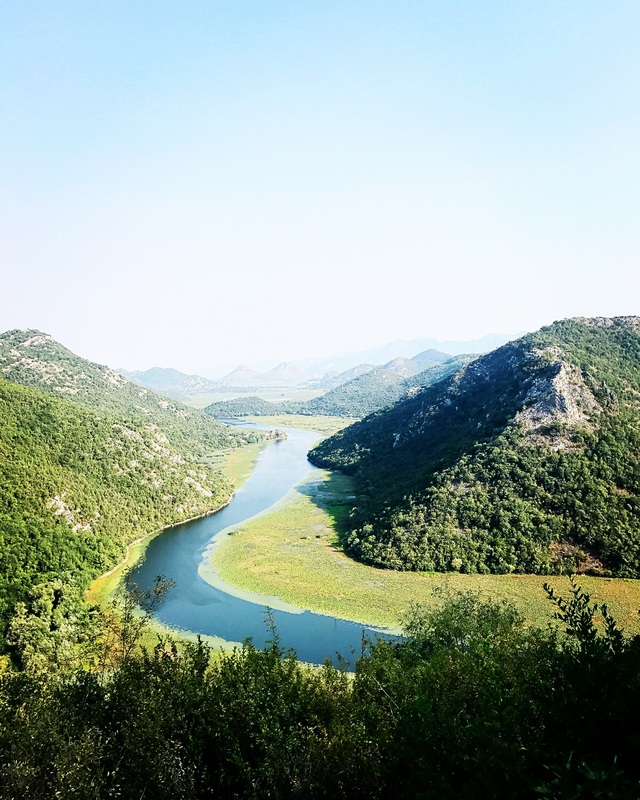 If you’re in Zabljak be sure not to miss out on a visit here. The next morning we were up early and off to Tara Canyon for a morning of rafting. Again, this was a beautiful drive, and all along the way were stalls selling homemade honey and mead. Organic and seasonal produce has a huge emphasis in Montenegro and is something you will quickly notice. The canyon really is a spectacular sight, and compared to the horse riding, the rafting was sedentary! If you’re looking for a way to experience the canyon, this is certainly the way. Our rafting experience was only a few hours, however you can do much longer excursions , up to two days, where you camp along the river. For any thrill seekers, there is the option to zip line across the canyon, and is something you can onto the end of your rafting trip. Equally, if this is not for you, you can stand and admire the canyon from above on Tara bridge. After rafting we headed back to the guesthouse, packed up the car and headed off to Kotor. 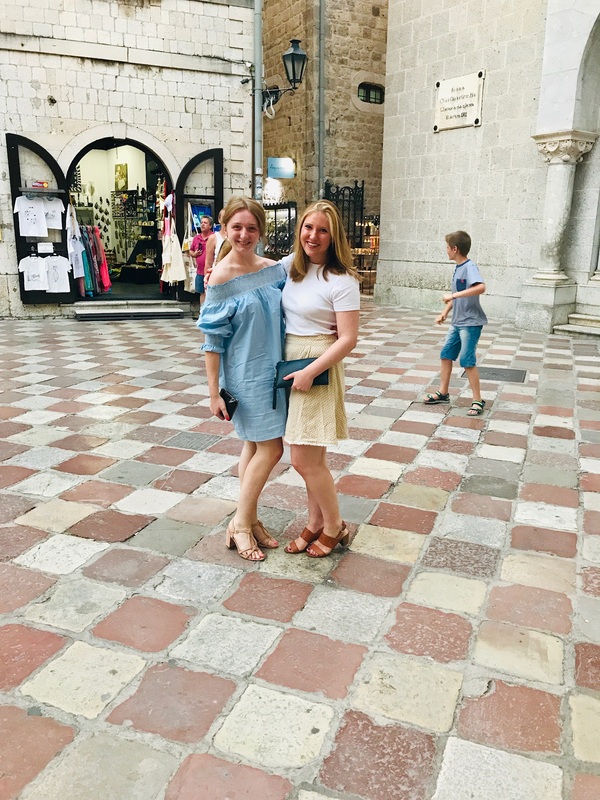 On arrival in Kotor (after a few navigation issues..), we checked into our Airbnb in the town centre and went ot to explore. 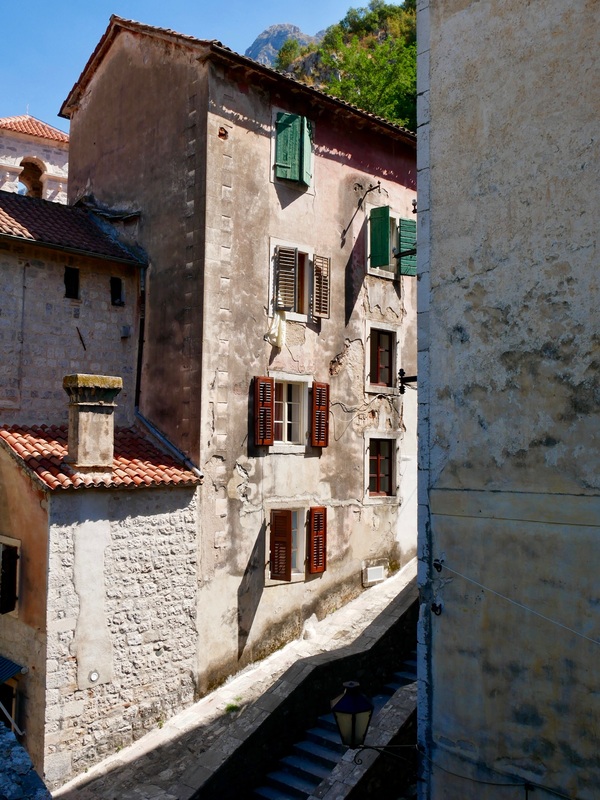 The most captivating thing about Kotor is that there seems to be music playing in every corner of the town. Walking around at night, it creates a magical atmosphere that I have never experienced in any town or city before. The next thing you will take note of, are the cats. Lots of them,,, The cats in Kotor seem to be pampered and worshipped, with even a cat museum dedicated to them (1 euro entry if you’re interested) , and every gift shop selling cat memorabilia. 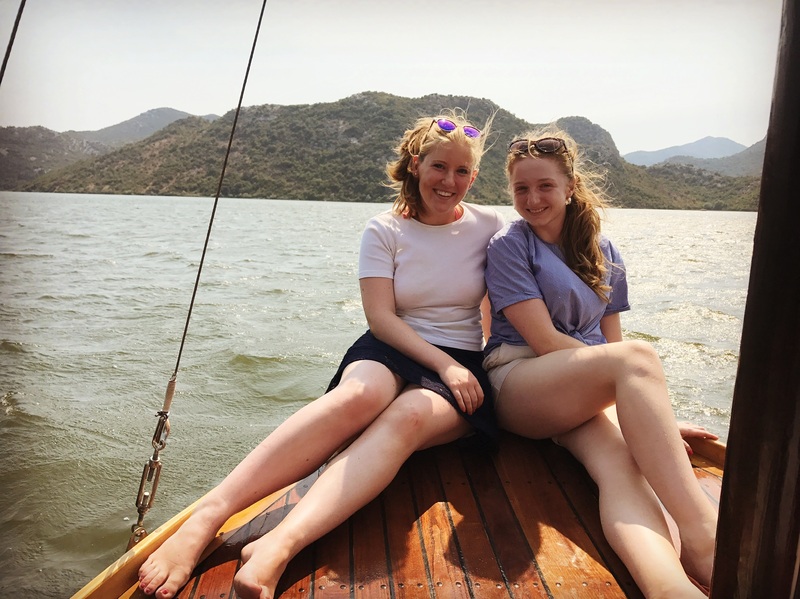 The next morning we hired a car again from M Cars and drove to Lake Skadar. 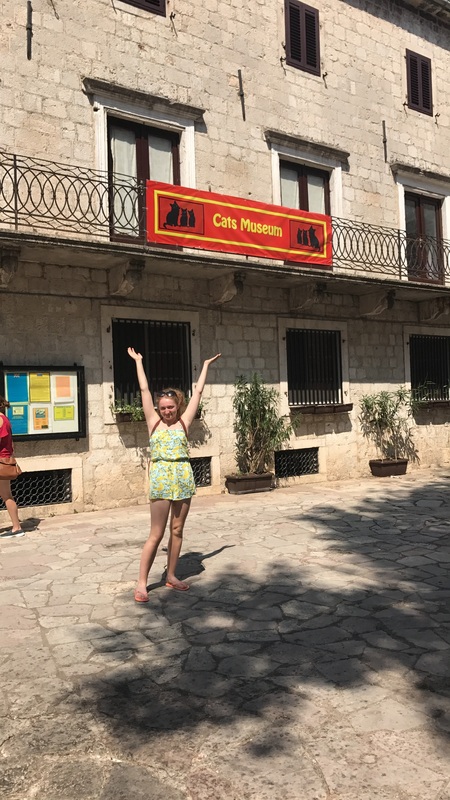 Once there we took a tour with family run business, ‘Golden Frog Tour’s I cannot recommend them highly enough and they even bought along some Montenegrin treats for us to try, the perfect snack after a dip in the lake. 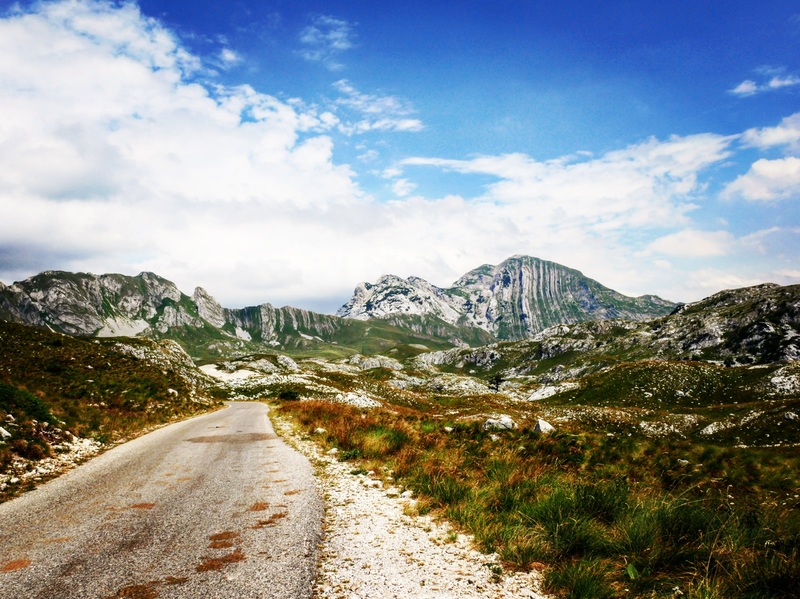 We took the scenic route home to Kotor by taking a detour along the way to Pavlova Strata. 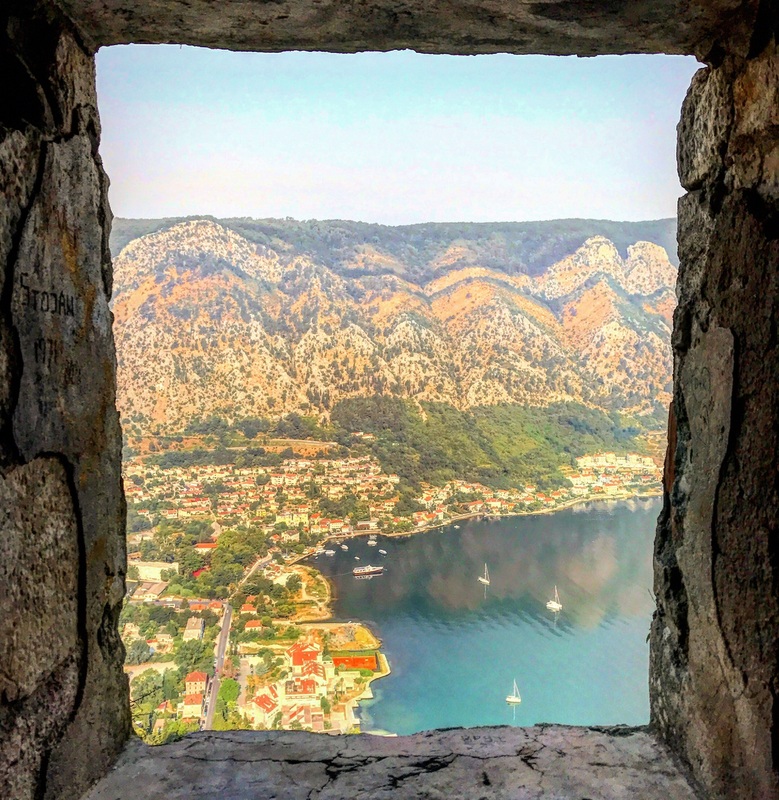 If you can stomach the twisting road up the side of the hilltop, this is certainly worth it, as you are rewarded with incredible views back over the lake and the island. The next day, before leaving we got up early before sunrise to make the trip up to the fort that overlook Kotor. 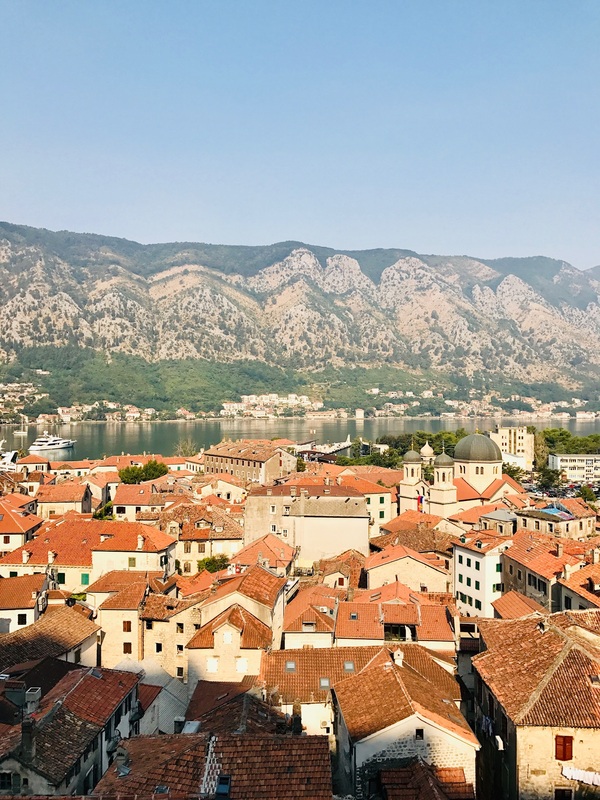 It is 3 euros entry, but is an absolute must if you are staying in Kotor as it offers views over the town, bay and beyond Ensure you take sun cream and plenty of water as it is by no means a gentle stroll! Overall, combined with Dubrovnik, this was a outstanding trip with incredible company, and I can honestly say, I cannot wait to go back. The rustic charm of Montenegro is something I will not forget (along of course with the fantastic food). And missing the bus at the start of our trip? Well, it was a blessing in disguise. If you’re looking to hire a car whilst you’re there, I can definitely recommend M Cars. Speak to Sladjana, literally the loveliest person, who will ensure you’re sorted for your trip!